Cyber-crooks have now infiltrated the PC production line, according to a study from Microsoft. Malware has been installed on machines in Chinese factories, says the software giant, including a virus called Nitol, which steals the bank details and personal information of infected users. After winning permission from a US court to tackle the problem, Microsoft found four factory-new machines infected with the virus. "We found malware capable of remotely turning on an infected computer's microphone and video camera, potentially giving a cybercriminal eyes and ears into a victim's home or business," said Microsoft lawyer Richard Boscovich. In a highly worrying revelation, Microsoft says the criminals "infiltrate insecure supply chains" to get the malware onto the PCs as they're being built. 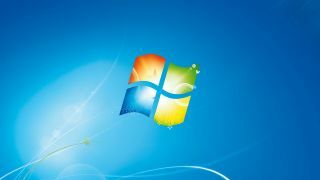 The viruses were, according to the study, included within counterfeit software being added by some PC makers. Microsoft is now going after what it believes to be the source of the Nitol malware and has been given control of the 3332.org, which claims to have no knowledge of illegal activity on its domain.